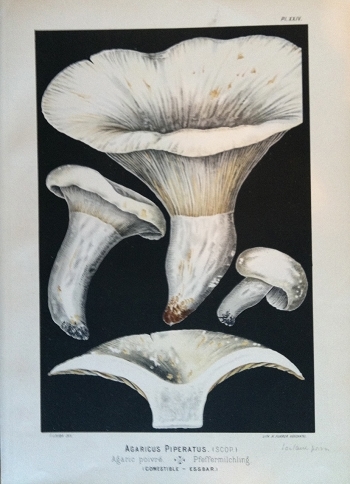 This beautiful print is a chromolithograph dated c. 1895 from Les Champignons Comestibles et Les Especes Veneneuses. by F.Leuba, pharmacien, It measures 10 x 13 1/2 inches and is a strong and striking image. Some staining on this one.